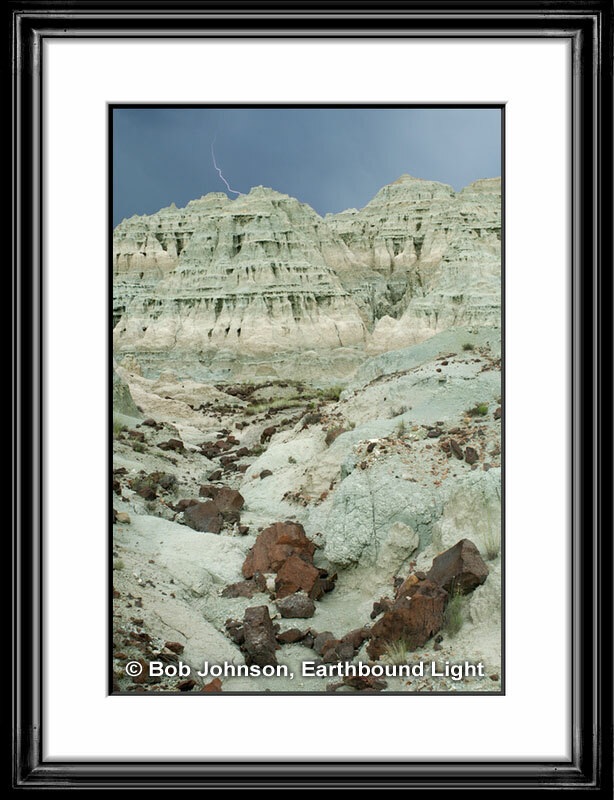 The other-wordily appearance of the John Day fossil beds is striking. Hiking there for sunset, I was instead treated to a later afternoon thunderstorm. It took quite a few tries to get a shot with a lightning bolt. When I had it, I got out of there before the rains actually started. The rocks really are that color.